Panel Questions Pull My Doorhandle, Oh Deer! Pull My Doorhandle, Oh Deer! BILL KURTIS: From NPR and WBEZ Chicago this is WAIT, WAIT... DON'T TELL ME. 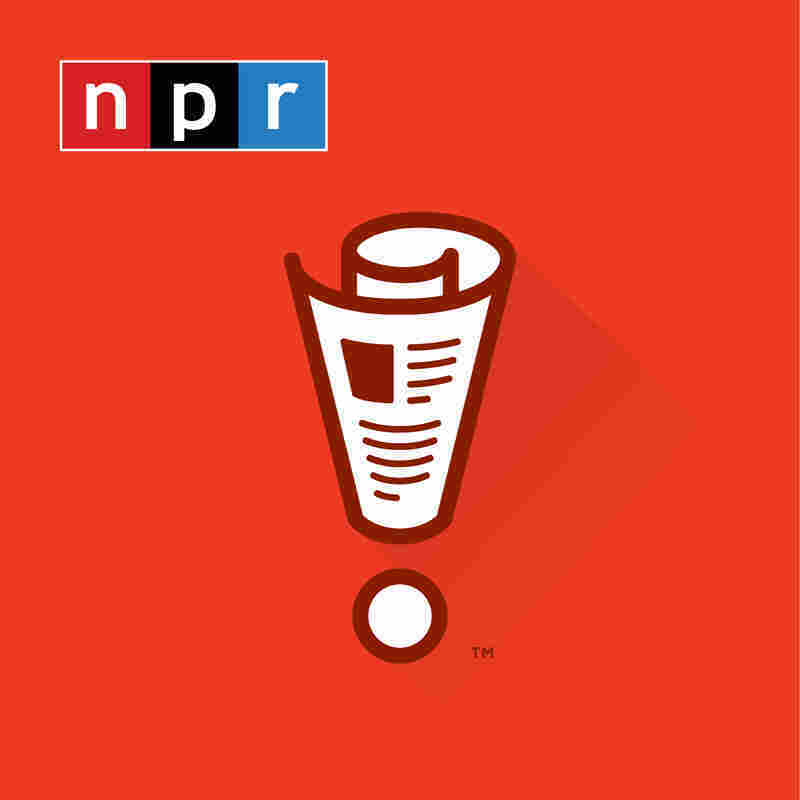 The NPR news quiz. I'm Bill Kurtis. We're playing this week with Maeve Higgins, Adam Felber and Roxanne Roberts. And here again is your host at the Chase Bank Auditorium in downtown Chicago, Peter Sagal. Thank you, Bill. In just a minute, Bill Kurtis' true love gives to him five golden rhymes. SAGAL: It's our Listener Limerick Challenge game. If you like to play, give us a call at 1-888-WAIT-WAIT. That's 1-888-924-8924. OK, panel, some more questions for you from the week's news. Maeve. SAGAL: You know that Tesla cars have this feature - they have these onboard computers, and they're constantly updated by the Tesla Corporation. You get in your car, all of a sudden it can do something else. Well, people got into their Tesla cars recently and they found out that had been updated and now Tesla cars can do what? SAGAL: Yeah, it adds the capability to the car? HIGGINS: This is a self-driving - oh, I know what would be - this would be useful thing - like a baby seat that grows with your child. ADAM FELBER: That's a great idea. SAGAL: That's a great idea. SAGAL: I'll give you a hint. It's also - because it's an advanced piece of technology. It's also programmed to, not only do this, it's programmed to say, excuse me or if you choose this option - blame the dog. HIGGINS: That just made it so much more confusing to me. HIGGINS: Oh, you can go to the toilet. ROBERTS: It's the - you know, don't blame the dog thing, right, in the car? HIGGINS: The dog ate my homework. ROBERTS: No, not the dog ate my homework. HIGGINS: I don't think I know that expression. ROBERTS: No, no, - so - OK.
FELBER: It sounds to me, like, blaming the dog isn't the thing you do in Ireland. ROBERTS: You're in a confined space. FELBER: I think the Irish excuse is oh, I think I must have been boiling some cabbage. HIGGINS: My cultural - thank you. Thank you, both. Thank you both panelists. SAGAL: That was an amazing moment there - across cultural communication. SAGAL: No - Teslas can now - you'll be happy to know - people who spent $80,000 on your electric car - it can now fart. SAGAL: They've been equipped with little sound files that you can set off to make it make fart noises. It basically - like, Tesla wants the symbol of high-tech advanced automotive technology. I know basically rolling up to you and saying, pull my door handle. SAGAL: And right now you're saying to yourself, oh, yeah, I've heard of that. My dad had that feature in his old Buick. And no. SAGAL: That's not what it was. HIGGINS: Your dad had IBS. SAGAL: Adam, a Missouri man has to pay the ultimate price for his illegal deer poaching after a judge ordered him to do what? FELBER: A judge has sentenced him to watch "Bambi" once a month for the next calendar year in jail. FELBER: He would lure them, too. SAGAL: ...Yeah, it was just the worst. FELBER: With, like, deer tinder. SAGAL: It doesn't really seem, like, punishment - this guy loves deer hunting so much he went to jail for it. He's supposed to feel bad watching Bambi's mother die? ROBERTS: It struck me that he had a tender heart. SAGAL: No, no, he didn't. It's like, you know, he gets just watch a cartoon about the thing he loved best. You know, I've never seen "Bambi." And the reason I've never seen "Bambi" - the only time I've ever heard Bambi discussed my entire life was - oh, Bambi, it's so sad when the mother dies. ROBERTS: Well, you don't see the mother die. FELBER: You see the mother die in the director's cut. FELBER: Gruesome - pretty gruesome. HIGGINS: ...The 20 minute scene. FELBER: She spent a long time burning and screaming. ROBERTS: No one is laughing at that. All these people think you're terrible (laughter). FELBER: But they're going to go home and be really glad you heard those jokes.